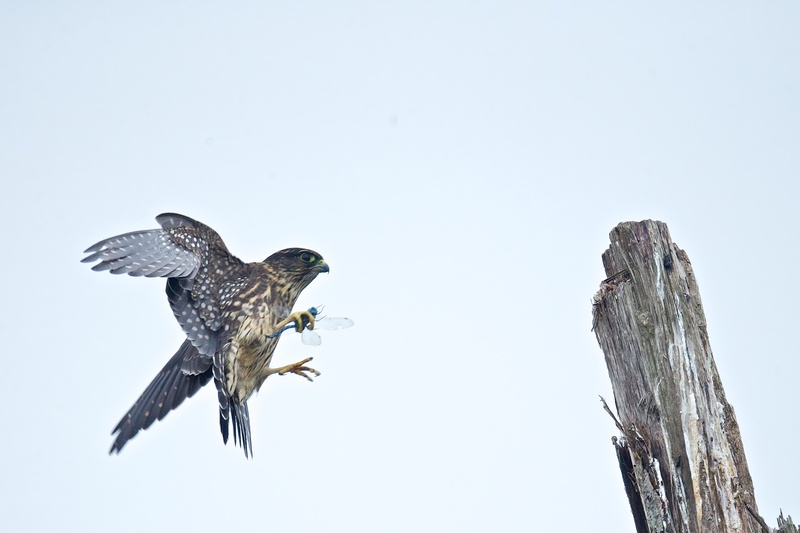 While photographing dragonflies in a park in Seattle, Gregg Thompson captured some images of a Merlin hunting these flying insects. Largely bird hunters, these small falcons are opportunistic and take advantage of the emergence of dragonflies in late summer. Learn more about Merlins on BirdNote!